Can you reduce a cleaner’s WHS risk by swapping the mopping method? Every business faces different types of risk. However, when your workforce is required to manoeuvre heavy equipment and perform repetitive movements every day, the risk of injury is particularly high. It’s no wonder workplace injuries are a constant worry for WHS managers in the commercial cleaning and environmental services industry. Prevention, as they say, is better than a cure. So what can WHS managers do to prevent injury for such physical work? The answer lies in changing the way cleaners move by changing to more ergonomic cleaning equipment. Work-related injuries and disease cost the Australian economy $61.8 billion, or 4.1 per cent of GDP. [i] In 2015-16, there were 104,770 serious claims for work-related injury or illness. The median time lost for each claim was 5.6 weeks, while the median compensation paid for claims was $6,800[ii]. It’s not just the worker’s compensation costs borne by the employer that needs to be factored into the equation. There are also indirect costs to the organisation such as lost productivity, lost potential output and the cost of providing social welfare programs for injured or incapacitated workers. Losing valuable staff due to a work-related injury, even for a short period, is not something any facility can afford. Hospital environmental services teams face several health and safety issues. Cleaning every touchpoint and surface in patients’ rooms, bathrooms, waiting areas requires systematic and repetitive movements. Lifting, pushing, pulling or bending is often an integral part of the cleaning protocol – the very movements that are the leading cause of injury, according to Safe Work Australia’s statistics. According to the latest figures (2015-16), the most common injury was traumatic joint/ligament and muscle/tendon injury (43 per cent)[iii]. The leading cause was muscular stress while lifting or handling objects. Non-powered hand tools, appliances and equipment injury accounted for the highest number of claims too. Most affected areas of the body by injury were arms (26 per cent), knees and legs (23 per cent), the back (20 per cent) and neck and shoulders (13 per cent). Mopping floors and disinfecting surfaces is physically demanding, especially with traditional mopping methods where buckets of water need to be lifted and carried. Mopping the large floor area was physically repetitive work and involved multiple trips back to the cleaner’s room to refill buckets of water. Wringing the mop to remove excess water and lifting heavy buckets placed significant stress on the body. The average age of the workforce was over 55. Considering all these factors, RMH recognised its wet mopping method was a high-risk activity. To reduce this risk, OHS Management looked for a different mopping method with less movement risk and conducted a comprehensive manual handling assessment. When it comes to mopping, the greatest risk is to the back and shoulder. But do different mop systems have the same movement risk? Can you reduce the movement risk simply by switching your mopping method? To investigate this question, RMH used the innovative ViSafe workplace assessment wireless motion sensor technology to measure and track how an Environmental Services Professional moved as she used different mopping systems to clean a room and bathroom in the hospital ward. Two different mopping technologies – Rubbermaid Commercial Products (RCP) microfibre mop and a traditional wet mop system – were analysed to compare their movement risk. The ViSafe assessment focused on the lower back/lumbar region and shoulder as the cleaner mopped each room, assessing each mopping action. Microfibre mopping was observed to have a 20 per cent lower movement risk compared with a wet mopping method. It was also more evenly symmetrical for the shoulder range of movement. 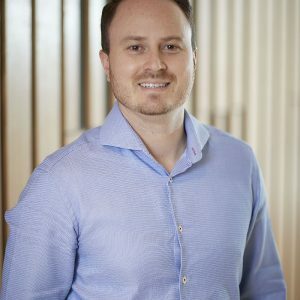 When using the microfibre mop in the room and bathroom, the employee spent 49 per cent less time outside the preferred movement range, and 33 per cent less time outside the preferred shoulder range of movement (overall) compared to wet mopping[iv]. The microfibre mopping action was completed closer to the body’s core than wet mopping, and the sensors detected a lower muscle activity (EMG) for lower back and shoulder with Microfibre. 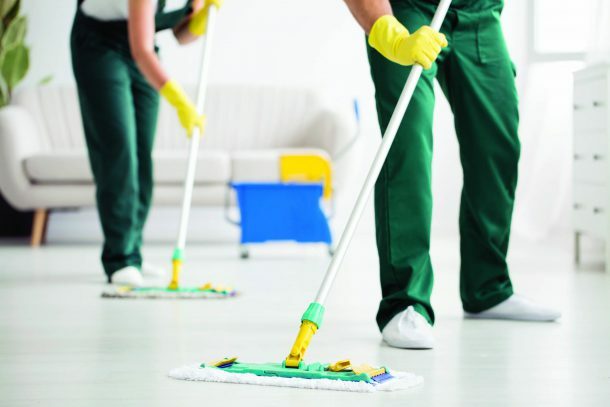 The study observed the microfibre mop enabled staff to perform cleaning tasks closer to their core. Microfibre mopping doesn’t use buckets of water, so eliminates the need for filling and carrying heavy buckets of chemical solution. These two factors contributed to a lower movement risk for the user, which delivers numerous benefits for the Environmental Services Team and the organisation as a whole. Since conducting the study and reviewing the latest literature and industry benchmarks, RMH now uses a superior microfibre system in its cleaning protocols. The more ergonomic microfibre mop system has been a highly-effective preventative measure in reducing workplace injury for its employees. There is no full-proof way to prevent injury completely. However, technologies and innovations such as microfibre are gaining considerable ground towards making important environmental services workplace tasks like mopping floors in our hospitals safer. 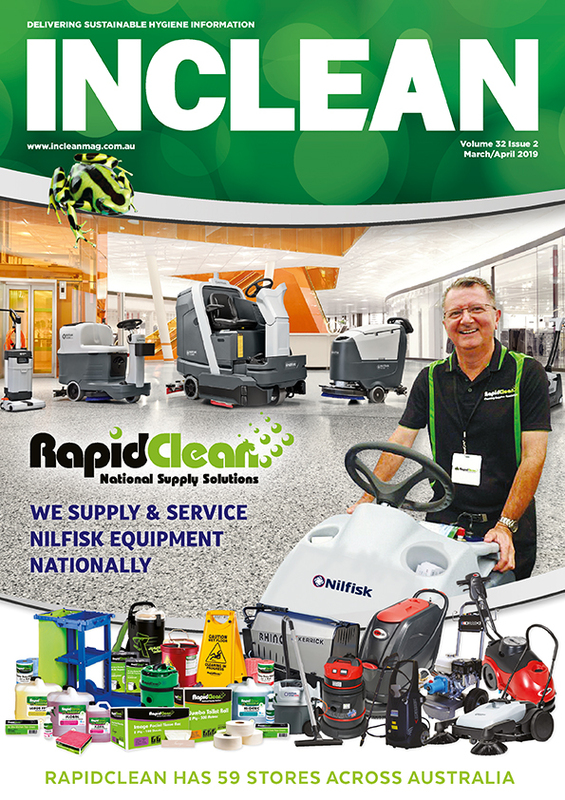 This first appeared in the July/August issue of INCLEAN magazine. To subscribe, click here.